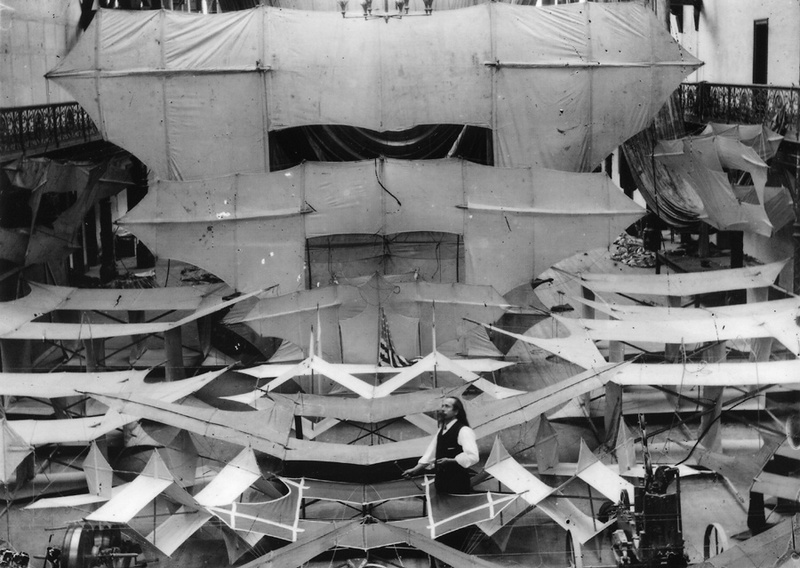 Samuel Cody, posing in his showmans role with one of his kites. 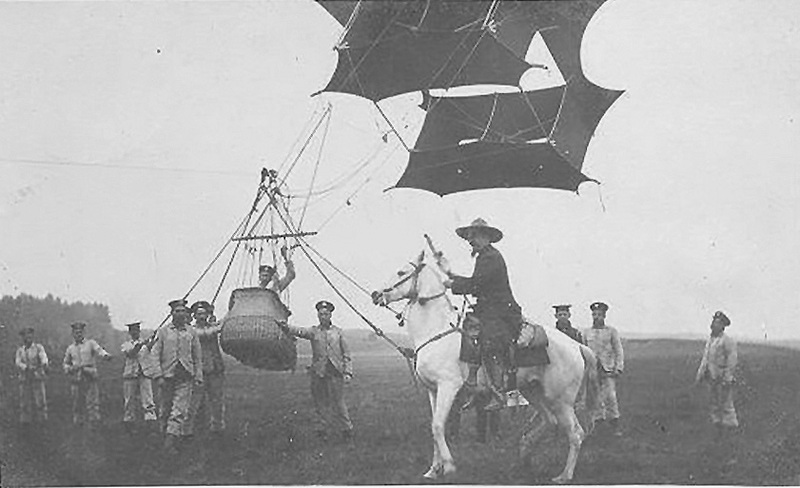 In the UK Samuel Franklin Cody had also been pioneering man lifting kites for use with the military in observation and photography. Cody was a flamboyant character, originating from the United States but of no relation to Buffolo Bill Cody. He had a truely madcap career and it is best left to Jean Robert's site to elaborate. S. F. Cody Society. Tragically his life was cut short in 1913 in an air accident and was buried in Aldershot with full military honours. But there was a war on the horizon and it would change the way aerial photography was done and the advantage it held over one's enemy. 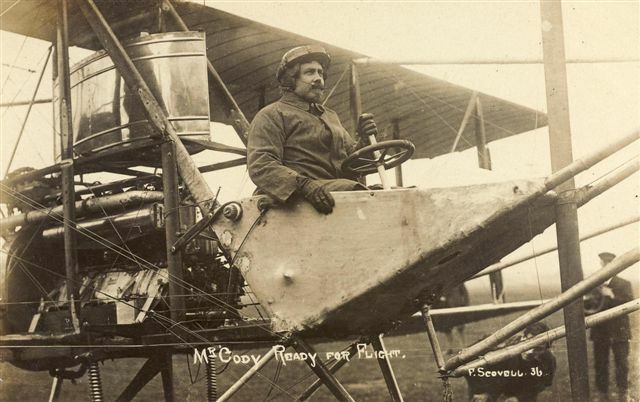 Kites were out and aircraft were in despite a few years earlier in 1909 when the British War Office released Cody from his contract saying there was no future in aeroplanes. 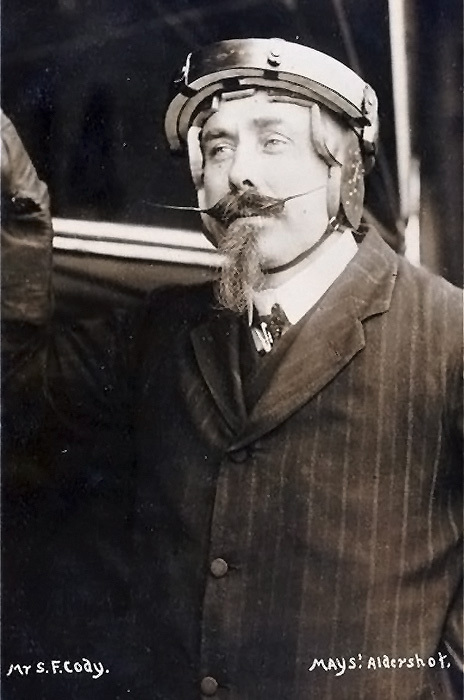 Samuel Franklin Cody is acknowlged by The Royal Aero Club as being the first person in the UK to have flown a powered heavier than air aircraft. 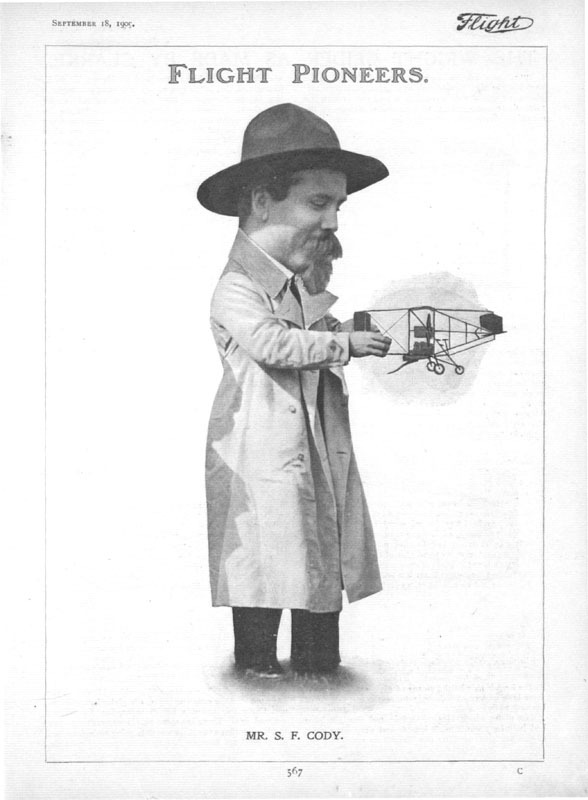 Caricature of Cody from Flight Magazine. Cody ready ........to fly one of his aircraft. Cody surrounded.......by some of his kites and aircraft. 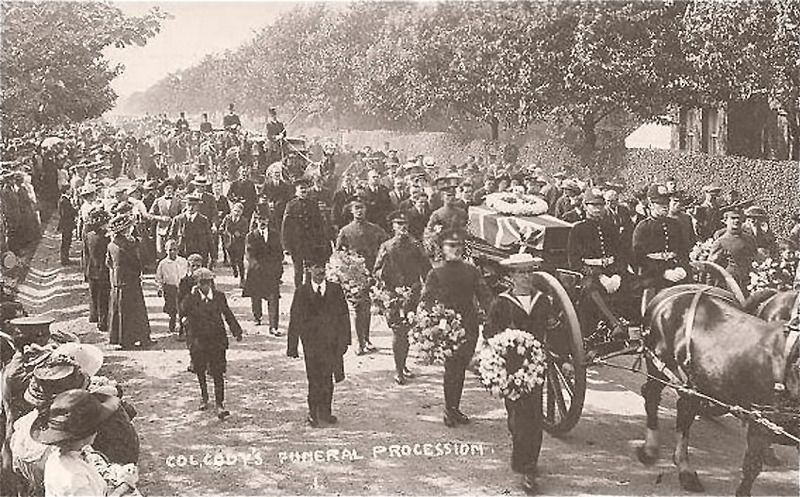 Cody's Funeral, Full military honours at Aldershot.